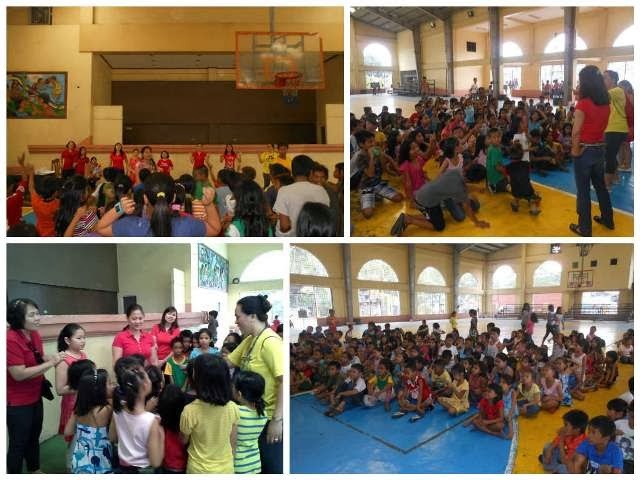 Bent on creating joy for others, sharing their blessings, and extending hope and love to the underprivileged, VIDES Philippines Treasurer and Board of Trustees Member, Lezeil Ebdane, and her classmates visited the Busina Mo, Dunong Ko children of Delpan, Manila last December 19, 2013. The Ladies in Red (with the exception of Ate Lezeil who was wearing the yellow Live Jesus VIDES shirt) spread the spirit and joy of the Yuletide Season by treating the kids to a half day of fun and laughter. Everyone actively participated in the games and bonding moment. They also enjoyed singing and showing off their dance moves. 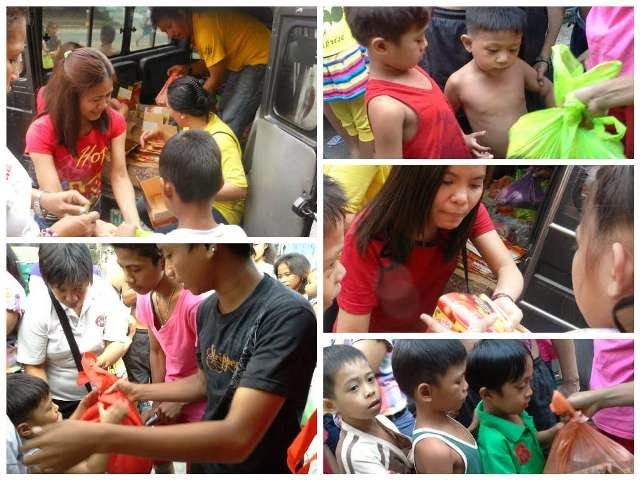 The activity was capped with the distribution of pear-shaped hams and grocery items which made the kids' and their families' noche buena extra special. To Ate Lezeil and friends, we sincerely thank you for sharing your time and blessings with the underprivileged kids of Delpan. Thank you, too, for sending Christmas goodies to the children of NIA Road and South Triangle. More power! Live Jesus!